The HearthStone Heritage wood heat stove is the signature stove in HearthStone’s collection. 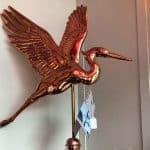 This beauty is perfect for the mid-sized home, perfecting functionality. 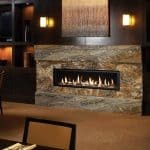 The Heritage is built with soapstone, a natural material which can absorb the high heat of a fire and then radiate that heat into your home. By producing their products with soapstone, your home stays at a consistent temperature, known by HearthStone as the comfort zone. The soapstone is the ideal material for overnight heating or longer stretches of time when you can’t tend to the fire. It also allows for a quick and easy restart of your fire, just one of the many reasons to choose HearthStone. 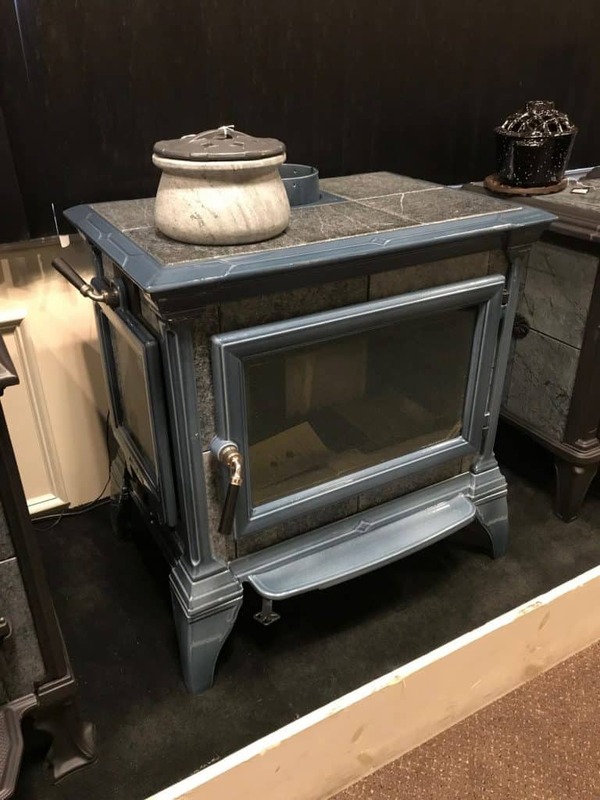 Due to the fact that the Heritage utilizes soapstone, it has the ability to sustain heat for up to 12 hours with the classic look of an all cast iron stove. Not only is it incredible that the Heritage will heat your home for hours, but what it burns is clean. HearthStone prides themselves on their low emission combustion technology, exceeding the extremely strict EPA guidelines. 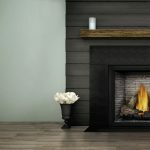 They emphasize sustainable heating solutions and boast that a tree decomposing in the forest emits the same amount of carbon dioxide as burning that same tree in an efficient burning HearthStone wood stove. Your Heritage will burn effortlessly clean and with the double combustion system, your wood will burn twice. This is achieved by burning the wood from the bottom of the stove while the gases from the wood are burned at the top. With self-regulation, HearthStone stoves are low maintenance. By adjusting one lever, you have the ability to control the burn rate, getting the most effective use from your stove. With the Heritage, you sacrifice nothing. 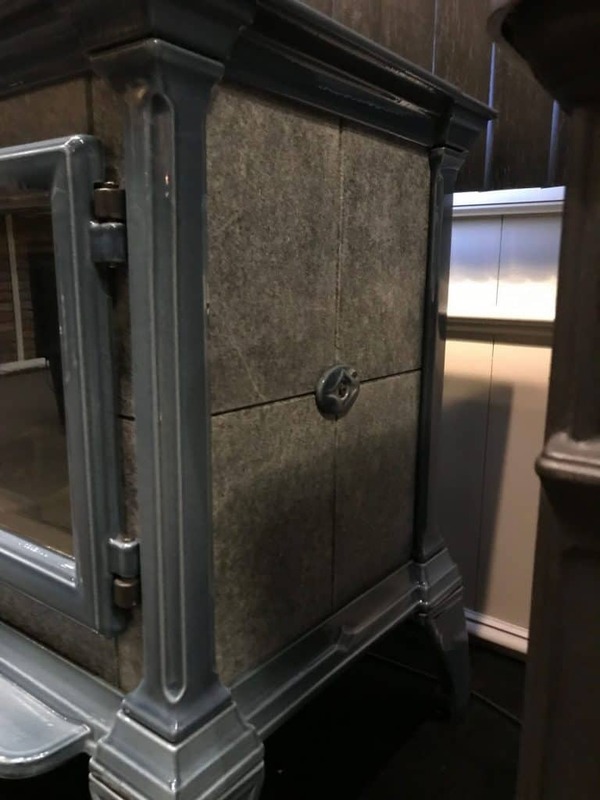 This stove features a large fire box for extra heat output and soapstone facing on the over-style side loading door, which keeps ashes in the firebox. There is the option to have a left or right door as well as a top or rear flue exit, both flexible with installation. With the optional ash pan, clean up is easy and accessible. 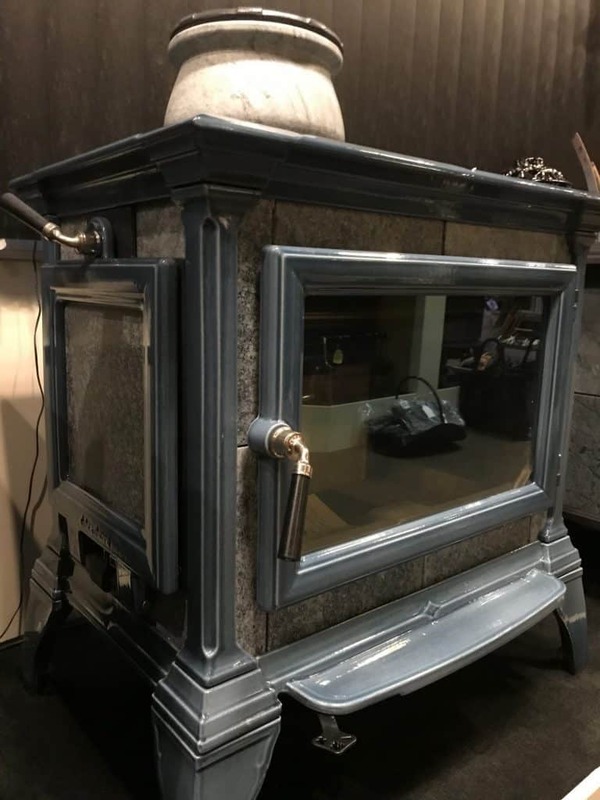 This stove is customizable to your home with 8 different varieties, there is no need to worry about finding the style that works best for you. Choose from black enamel, matte black, brown majolica enamel, or seafoam majolica to complete you fireplace. 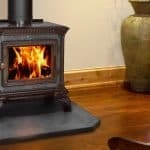 While choosing the perfect wood burning stove for you home can seem like a daunting task, choosing HearthStone will help ease the decision as to what the best options are. For the classic stove, look no further than the Heritage stove, it will exceed your expectations! 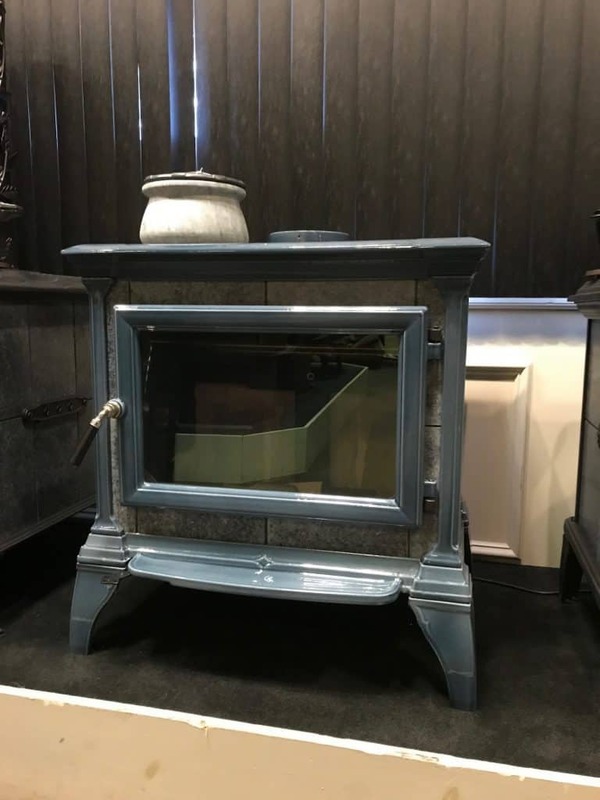 We have several Hearthstone Soapstone Wood Stove floor models on SALE! We are making room for next years models. We already got word there will be a substantial price increase! Get in on these low prices while you can! Visit our showroom down in South Jersey near LBI. Speak to a NFI hearth professional about your needs and see how we can customize a plan for you.